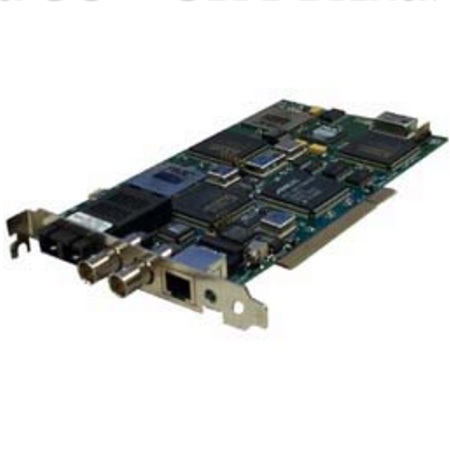 The Ultra OC-3 / STM-1 Card (PCI) plugs into a PC expansion slot for analyzing, testing, simulating, and monitoring OC-3 / STM-1 and STS-1/STM-0 signals. The card can add and drop T1, E1, T3, STS-1/STM-0 signals to and from an OC-3 / STM-1 signal or T1 and E1 signals to and from an STS-1/STM-0 signal. The card can also generate BERT patterns, internally in all framing modes. Accompanying Windows NT/2000/XP software affords easy operation. SONET/SDH Alarm generation, Error injection and detection capability, overhead monitoring features and its full compatibility with GL's T1, E1 and T3 test products, makes GL's Ultra OC-3 / STM-1 Analyzer a complete SONET and SDH testing solution. It is ideally suited for installation, maintenance, commissioning, verification and manufacturing of SONET/SDH transport networks and network equipments.